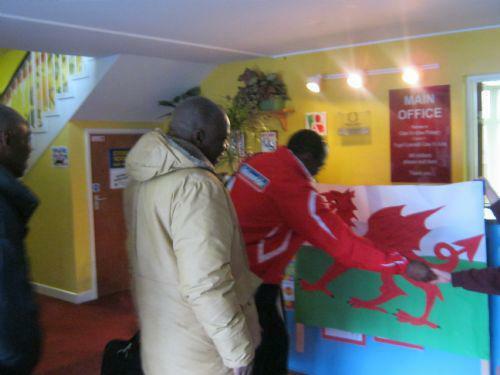 The school gave a very warm Glan-yr-Afon Welcome on Thursday to three visitors form Zambia. This reciprocal visit formed the second part of a partnership programme that the school has started with Malunga Basic School in Zambia. We will be working hard to develop our international link over the next few terms. 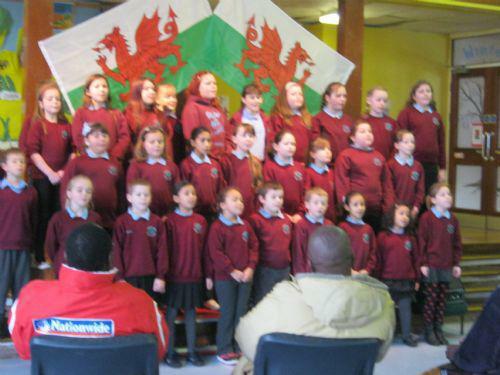 Our visitors were treated to some traditional Welsh singing from our choir. They then observed assembly and some lessons. Teachers were able to talk about how and what links will be established between the schools. All agreed that the visit was fruitful and worthwhile. Our visitors who will be spending a week in Wales will be visiting other schools in Cardiff as well as taking an opportunity to visit some places of interest in the area.